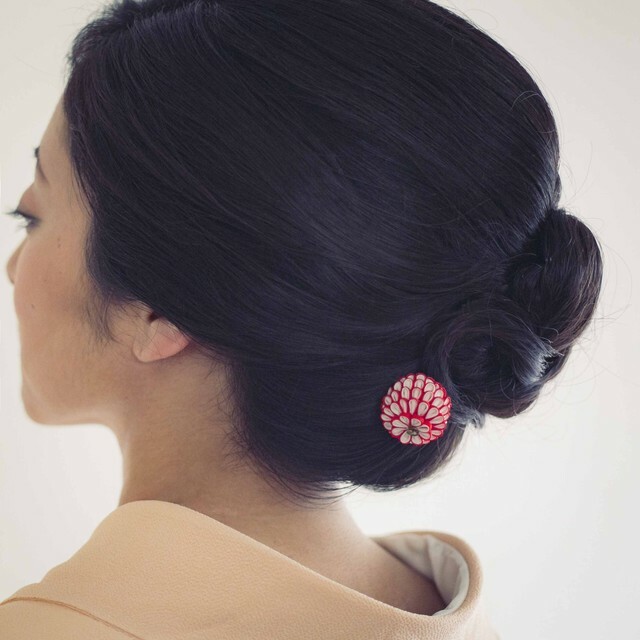 This product is known as the most common Tsumami-zaiku. 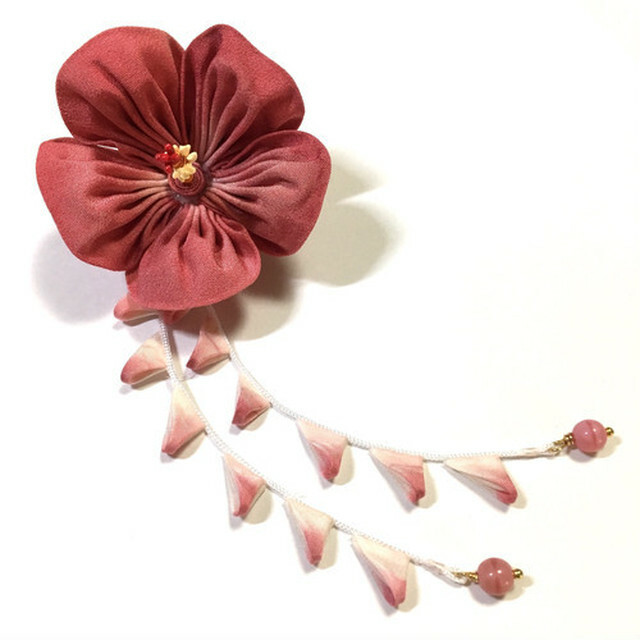 The “Kusudama” is sometimes made with over 100 types of tsunami patterns. 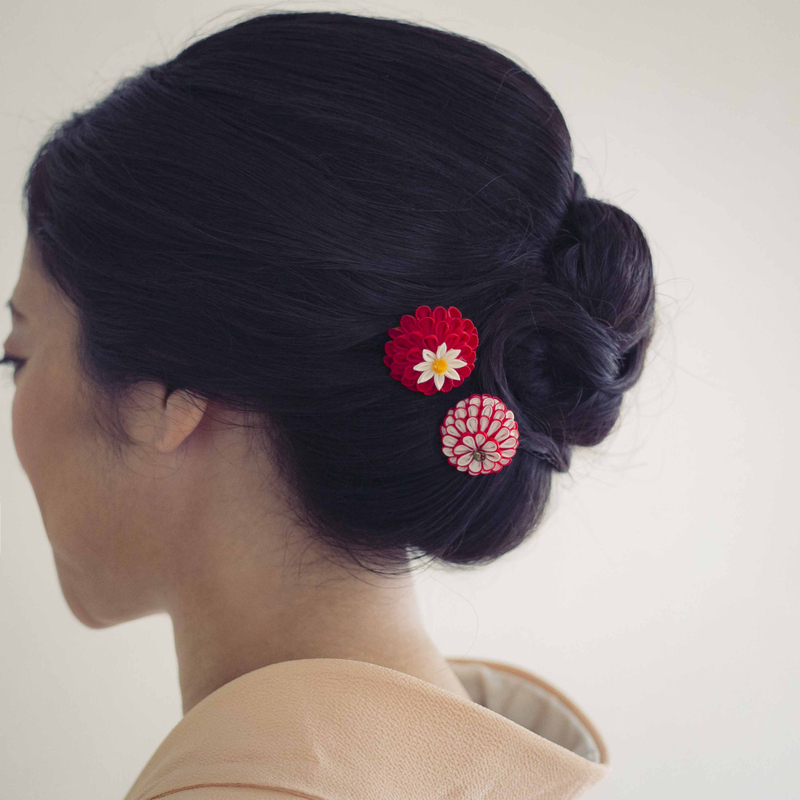 It’s a very popular traditional Kanzashi hair accessory which you can use in a bun or any other up worn hair style. 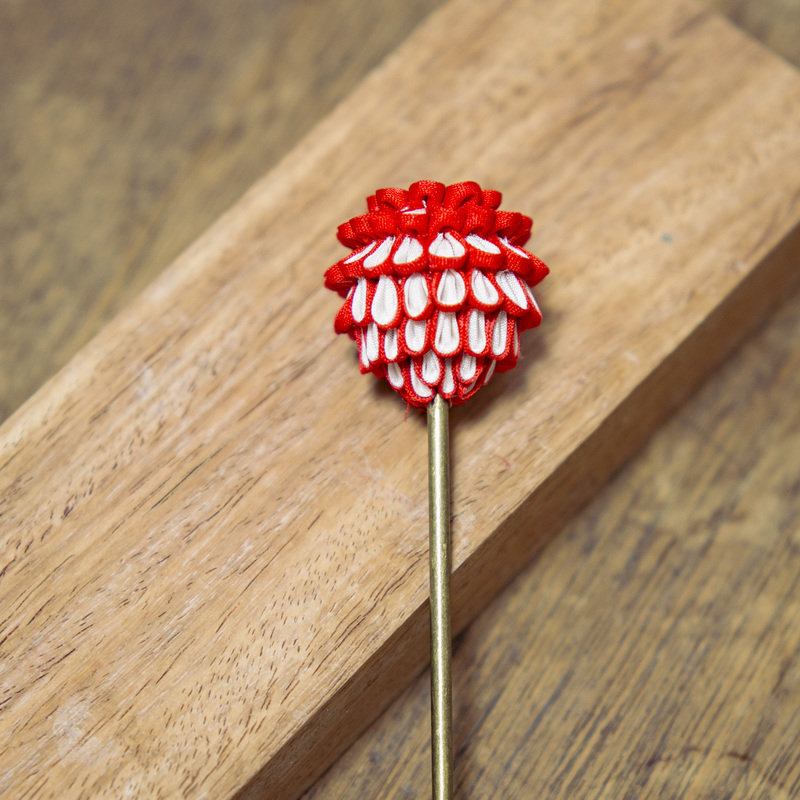 This Kanzashi is made of pure silk materials using double-maru-tsumami technique layering 1.5cm and 1.3cm big squares with 100 tsumami. 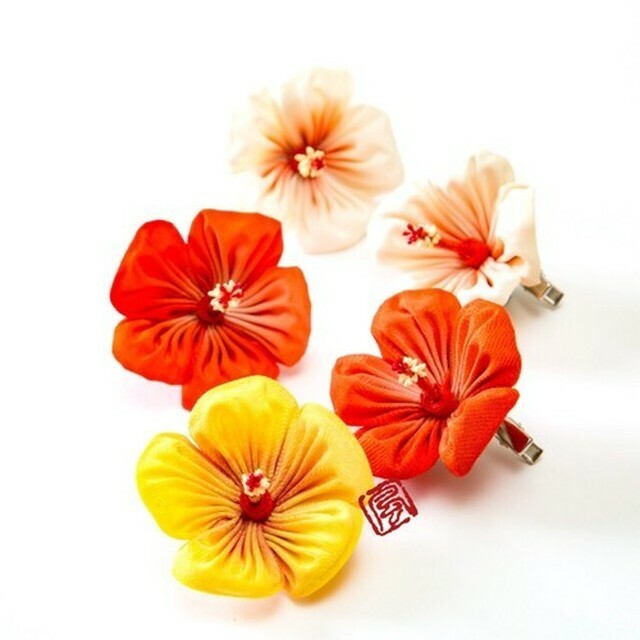 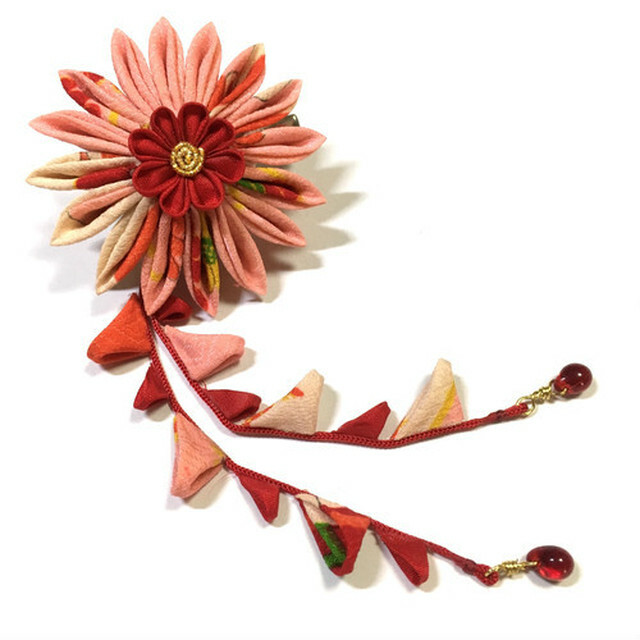 This kanzashi can be used at many different occasions such as when wearing a kimono, dressing up for a party, or just in your daily life.